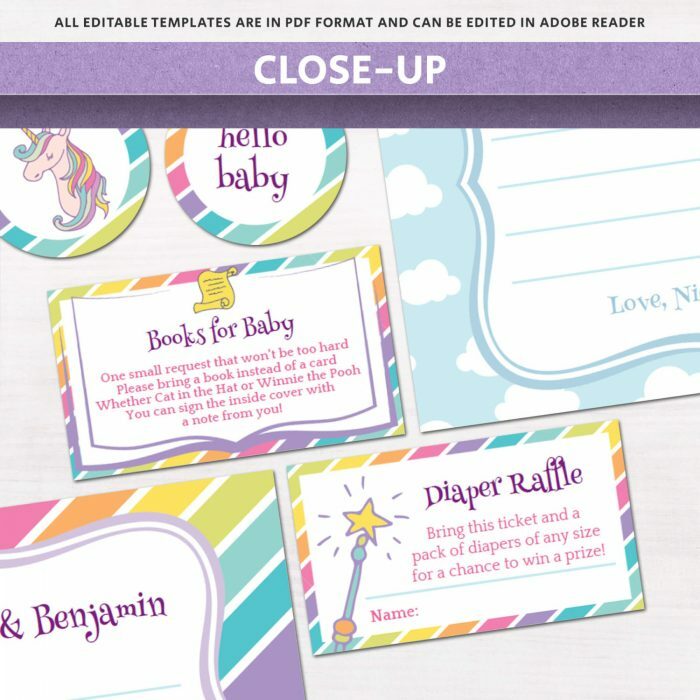 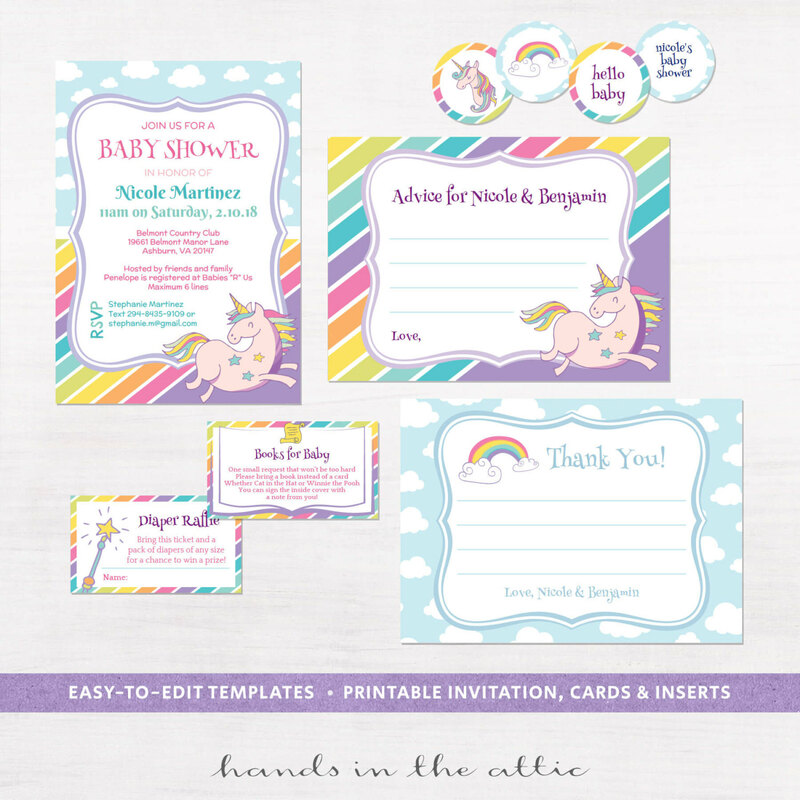 This Unicorns & Rainbows Baby Shower Invitation Kit comes with editable templates for invitation, advice & thank you cards, inserts and cupcake stickers. Easy to customize – in Adobe Reader, replace the text with your own. 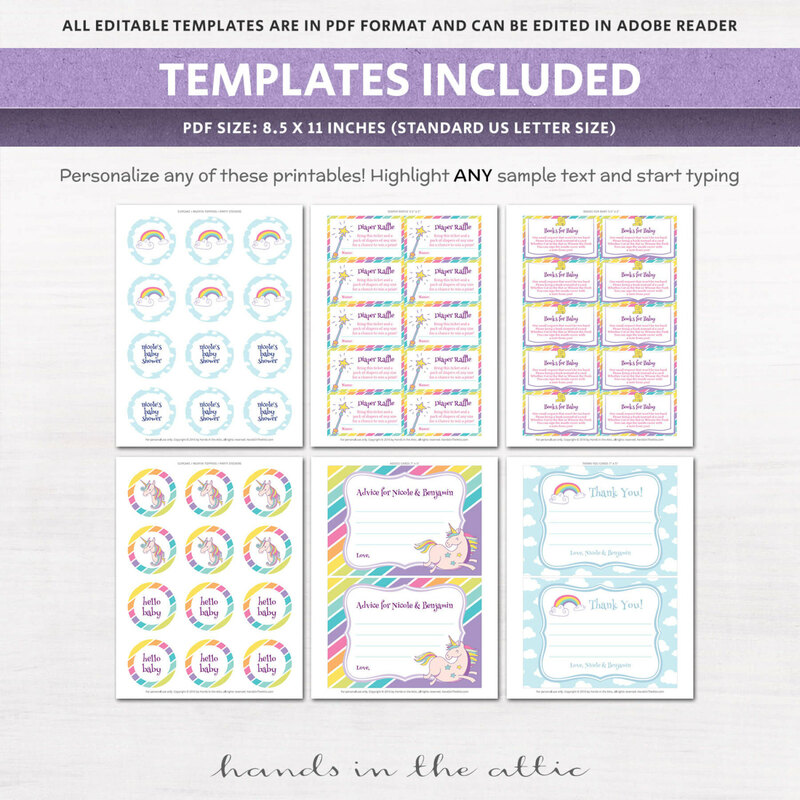 → All text can be modified within the space allocated. For example, the date line can accommodate 1 line of text, the details below the date can accommodate a maximum of 6 lines of text. 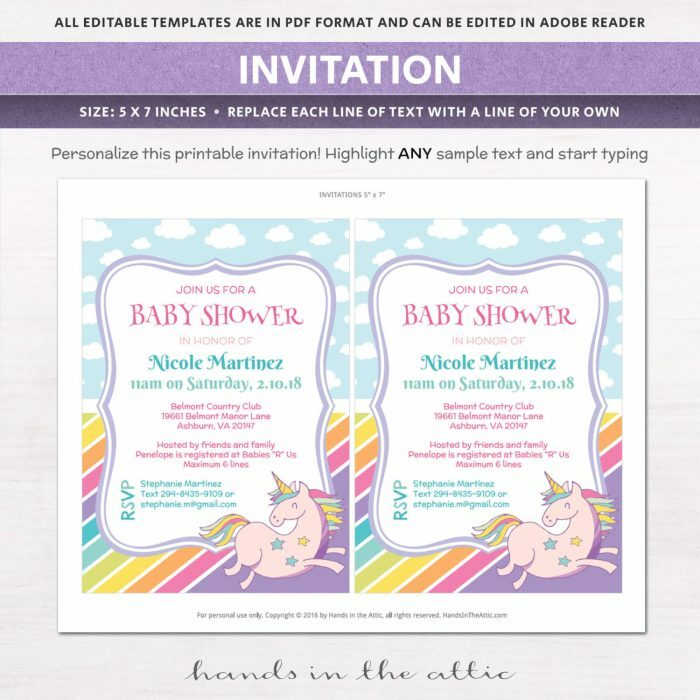 Printables and templates in this Unicorns & Rainbows Baby Shower Invitation Kit can be easily printed at home!